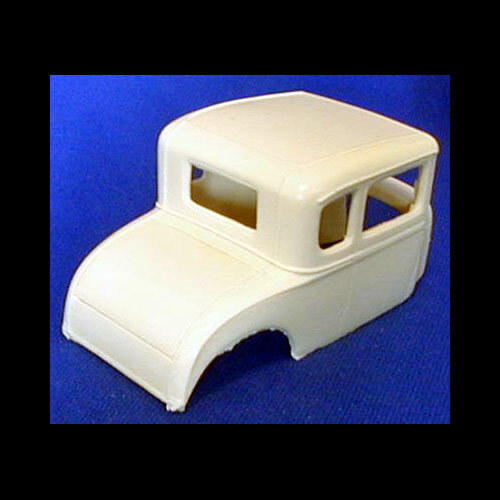 1928-1929 Ford 5 Window Coupe by R&R Resin. This is a one piece body. 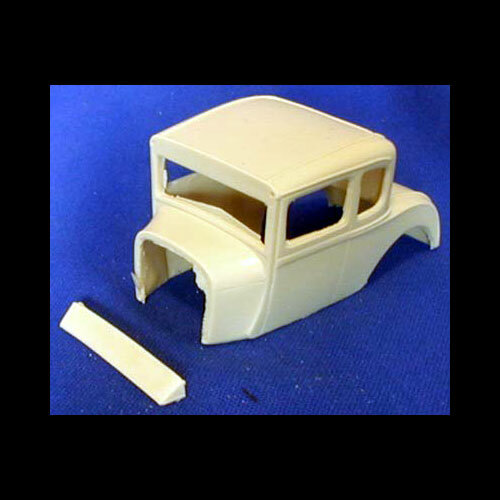 For use with an AMT or Revell hot rod model kit. Features shaved door hinges and door handles. Includes a separate front roof visor.